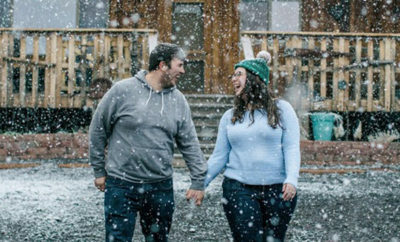 Taylor and Sam's Colorado Mountain Proposal - Shane Co.
We love this adorable proposal story starring a Shane Co. couple who started out as high school sweethearts! Sam and Taylor became good friends during their junior year of high school, and then they took the leap to boyfriend and girlfriend during their senior year. On December 13, 2008, Sam walked Taylor out of a holiday party, had a bouquet of red roses waiting on the hood of her car and asked her to be his girlfriend. Clearly, Sam’s had a knack for proposals from the start! They’ve been together ever since, through the rest of high school, college, internships in different states and first post-college jobs. 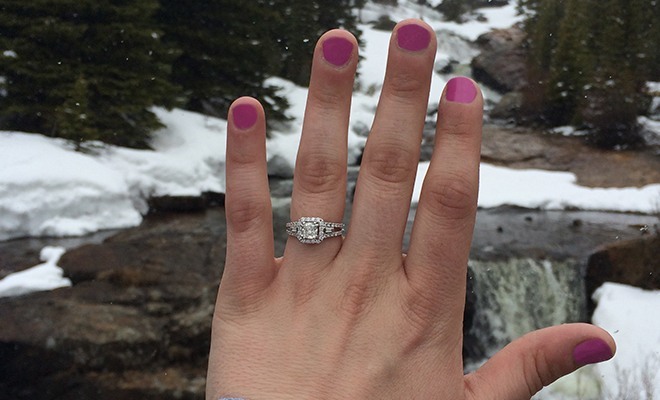 Sam’s next big proposal came a little over six years later during a trip to Colorado. Sam is a Colorado native and he loves all things outdoorsy, so he decided to share his passions with Taylor on a vacation to his home state. Sam and Taylor headed up into the mountains near the Breckenridge area, and during a break in the rain, began trekking up to Montgomery Reservoir, one of Sam’s favorite scenic spots. At 10,000-plus feet high, the trees and mountains were glistening with snow! Taylor recalls that it was unbelievably gorgeous and, with no one around for miles, incredibly romantic. Little did Taylor know how romantic it was about to get! She turned away from Sam for a few moments to capture some pictures of the beautiful view, and when she turned back, he was on one knee! Then he asked the question she had dreamt of hearing for years: “Will you marry me?” Between laughing, and crying, Taylor managed to squeak out a very excited, “Of course!” While she knew that a proposal was coming, Taylor was still totally surprised that Sam had chosen that moment. Since Taylor and Sam were on vacation, the rest of their trip was a giant celebration. 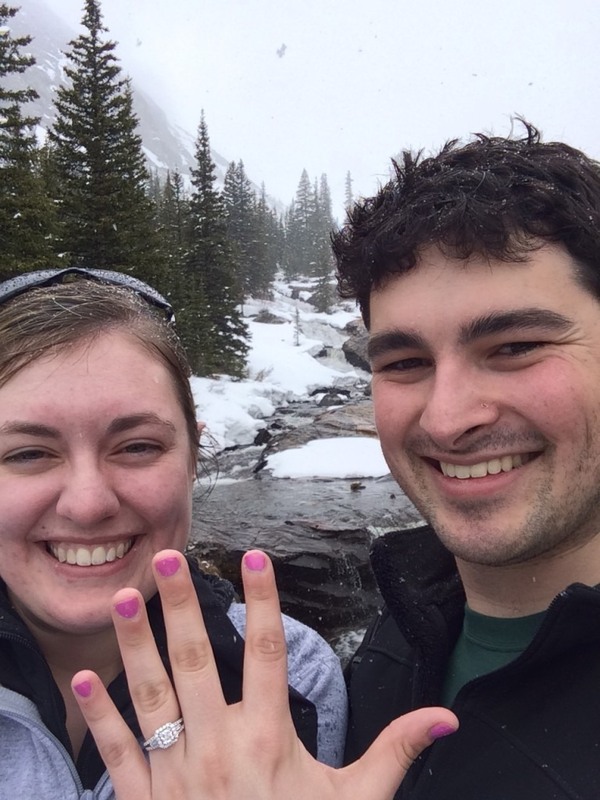 They were already booked at a luxurious hotel in Beaver Creek, but being a newly engaged couple made the stay even more special. It was Cinco de Mayo, so that evening—after making a handful of phone calls to spread the good news—they celebrated with enchiladas and margaritas at a nearby Mexican restaurant. The following evening, Sam made reservations at Elway’s, a steak house in Vail, where his parents surprised them by sending a bottle of Champagne to the table. Besides close friends and family, Sam and Taylor kept their engagement a secret for the remainder of the vacation, enjoying every second of living in their little bubble! 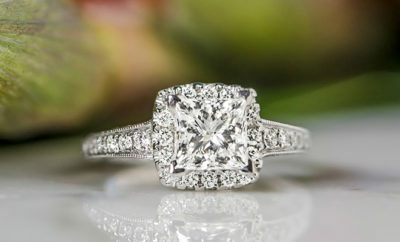 Sam did a beautiful job picking out Taylor’s ring, and she’s proud to say that she had no part in the decision process! 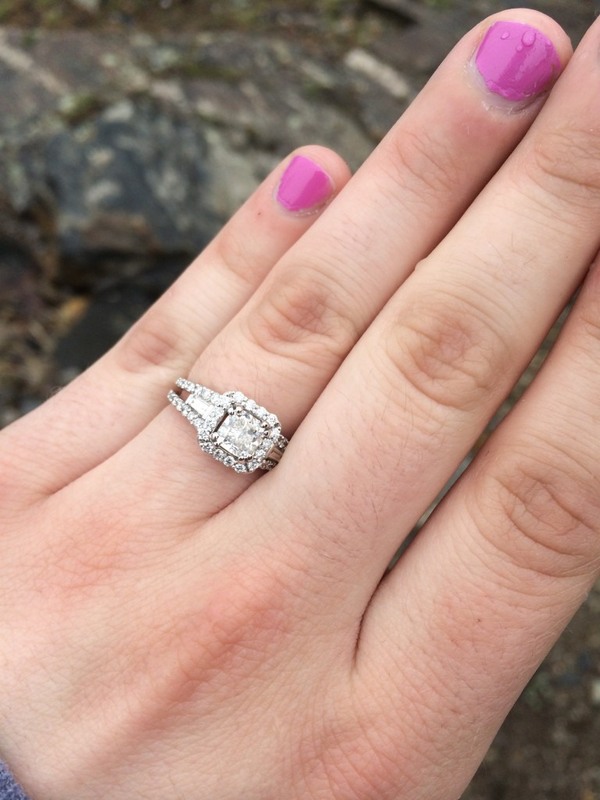 All throughout their relationship, when the topic of getting engaged came up, Sam was very adamant that he didn’t want to go ring shopping together—instead, he wanted it to be a complete surprise! With the assistance of his mom, Sam took Taylor’s Pinterest board to Shane Co., where the staff helped him find a ring that was the perfect combination of his and her styles: a cushion-cut diamond in a halo setting with a pavé split shank and baguette diamonds. Taylor describes it as absolutely gorgeous (and sparkly! ), and says every time she looks at it, she smiles knowing he picked it on his own. As for their future wedding plans, Taylor is an editor at a wedding magazine in Minneapolis, so she felt prepared to jump right into planning! She always envisioned a fall wedding, so they will be getting married in October 2016 at the Minneapolis Golf Club in St. Louis Park, Minnesota. Congratulations to Taylor and Sam—we’re so happy we could be a part of your love story, and we wish you all the best in the future!